It’s true. The KoHi Labs app has some bugs. Some we know about…and we’re keeping those a secret…sshhhh. And sometimes, a bug leaks out and we need to share it with our user-base. 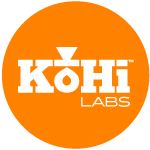 Our latest KoHi 1.6.7 release has a bug we think you should know about. The good news? It ONLY about 5 grams of water in certain brew timer conditions. The bad news? We’re the app that brews with “laboratory precision.” Whoops! The marketing script and the program logic collided! We updated to a more accurate slider and target mass algorithm. We didn’t update all of our code with the new formula. Bad code monkey! In certain recipe conditions, the new and old algorithm results don’t match. This is not a right vs. wrong result. Rather, it’s a more accurate vs less accurate result. As a user with a careful eye, you may notice that the final less accurate target mass doesn’t match the more accurate recipe target mass. In testing, we’ve seen about a 5 gram error in certain conditions. This bug is resolved in the KoHi app version 1.6.9 – which should be available next week. So what about some other bugs you might not know about? Well, the ones we know about correlate to code which controls UI behavior and file management in the iOS. Frankly, we’re more focused on user experience, recipe management, recipe parameters, and timer orchestration right now. So those little bugs can live till another update. Lucky bugs! We thought providing our users some new methods and more extensive recipe options were more important tasks right now. Lucky users!